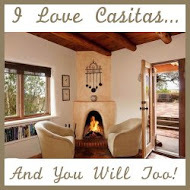 I love making Santa Fe travel plans because it's a great day trip. Some people need to make a specially planned trip to visit Santa Fe, but if you’re like me and from Albuquerque, you have no excuse not to take the hour drive up. Or better yet, take the Rail Runner! No driving required and full of opportunities to enjoy the scenery. Rail Runner has decided to keep their weekend runs, so do something new this Saturday. Park your car and let yourself enjoy the hour trip up and back on the train. The Rail Runner will drop you off at the Santa Fe Railyard Depot on South Guadalupe Street. Here’s the fun part; you can do just about anything you want and it’s all within walking distance or a short bus ride. And don't be nervous about the bus system; it's very easy to use for visitors. 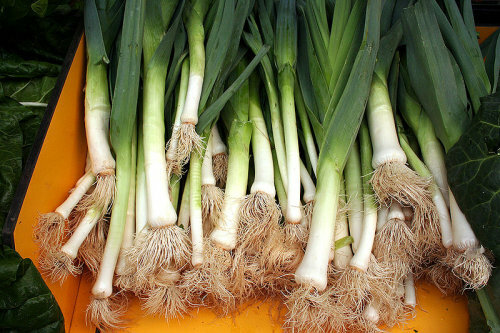 Tons Of Fresh Produce is Available. Heading south in the railyard during your Santa Fe day trip will lead you to the Santa Fe Farmers Market. The farmers market is open on Saturdays from 7am-Noon and features a variety of fresh produce and homegoods in addition to a garden center, live entertainment, and a plethora of refreshments. Can you resist the lure of tasty veggies and homemade desserts in a quaint setting? I know I can’t! If your Santa Fe travel plans are on a Sunday you’ll have the benefit of visiting the New Mexico Artisan’s Market from 10am-4pm instead. The artisan’s market is where you’ll find local artists, craftspeople, food and refreshments, and live entertainment. 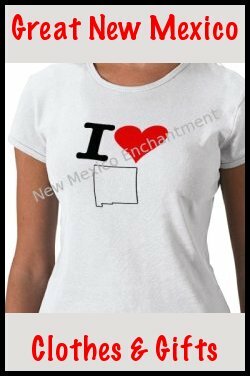 I’m sure you’ll walk away with something terribly unique and wonderful because that’s what Santa Fe is all about. There are tons of places to shop, so the best way to start is ask what you’re interested in. If it’s a mall atmosphere, I suggest you head over to DeVargas Center. Complete with dining, clothing and jewelry boutiques, home decor stores, and a café, there’s plenty to see and do all in one convenient place. If you don’t want to one-stop shop try one of the many stand-alone establishments. Art galleries, artisanal clothing boutiques, bookstores, distinctive home décor stores, and fine jewelry designers abound within quick walking distance. 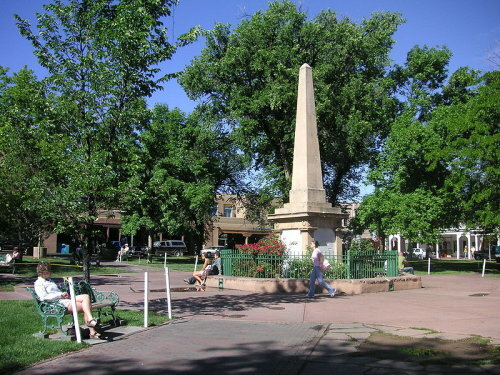 If you don’t mind walking about 15 minutes, head to the Historic Plaza, replete with even more shopping and dining options. If you do make the 15-minute trek to the Historic Santa Fe Plaza, you’ll also find the New Mexico Museum of Art, the Museum of New Mexico, the New Mexico History Museum, and the Palace of the Governors Museum on your route. A staple in my Santa Fe travel plans always includes a stop at the New Mexico History Museum because their exhibits change regularly and are very diverse. The Palace of the Governors Museum is all about New Mexico’s history. 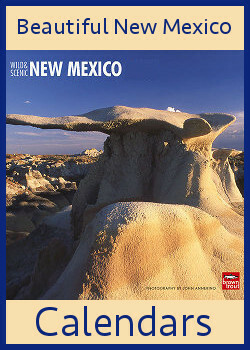 It’s a great way to learn a lot of the highlights of New Mexico’s history over the last 450 years. 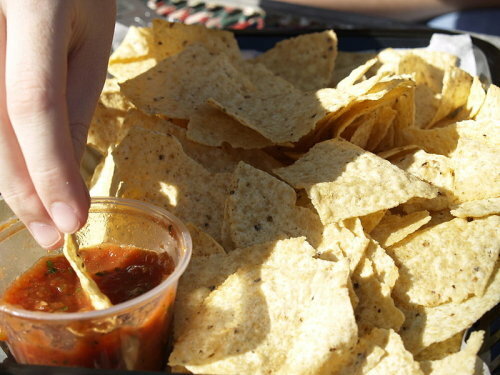 Chips & Salsa; A New Mexico Staple! Now, while there are a ton of eateries in Santa Fe, and many of them close to the depot, I have to make a recommendation for my absolute favorite. Tomasita’s Restaurant has been a favorite of my family for almost two decades. Every time we visit our friends in Santa Fe, we eat at Tomasita’s. They, of course, specialize in New Mexican Cuisine. Prices are reasonable and the margaritas are cold and tasty. I indulge in the Roast Beef Burrito Grande with red chile and always overeat the salsa and chips. Follow up with a warm sopapilla and honey and it’s the quintessential New Mexican meal. Yum! Tomasita’s doesn’t have a website, but it’s right there in the Santa Fe Railyard (always has been) and is easy to find. After a day of shopping and sightseeing, head back to the train and climb aboard. You've had a busy day and it’s a relief to just relax and let someone else do the driving. It also gives you a chance to compare your purchases with your Santa Fe travel companions and recount the great day you just had. So what are you waiting for? Make some memories this weekend!